EYCE training course “Theology of Migration: Young people develop a common theology of migration” in frame of #WeAreEurope! Campaign took place from 4th – 11th June in Stockholm, Sweden. In total there were 21 participants that came from different countries in Europe, also outside of Europe e.g. Lebanon and Armenia. In addition to participants coming from different denominational backgrounds, there were also two participants with Muslim background which enriched the group and the discussions, as well as the spiritual aspect of the event by presenting their faith tradition. The diversity of the geographic, social and cultural backgrounds of the participants ensured an intensive discussion and exchange. Main aim of this meeting was to look at the migration and theology of migration from different denominational and national backgrounds and promote it towards churches and society and counter theologically reasoned reservations towards migration. Participants were honoured by visit of Kristina Hellqvist from Church of Sweden who was talking about historical and cultural contexts of migration, how Church of Sweden is dealing with migration in the local areas across the Sweden and presented “Time of Encounters” study focused on work with Asylum Seekers and Newly Settled Persons in the Church of Sweden Parishes on which has been working lately. Kristina gave participants time to reflect on migration situation in past in their own families which brought very interesting insight into the group. The second guest speaker, Alfredo Abad from Spain who is a Pastor in Iglesia Española Reformada Episcopal (Spanish Episcopal Reformed Church) spoke about CCME (Churches’ Commission for Migrants in Europe), theological aspects to migration, theology of migration itself and presented a few texts from Bible to participants for discussion. Later in the week group visited two projects of Church of Sweden in different parts of Stockholm – Botkyrka församling and Good Neighbour project. Participants met with pastors and project leaders in both places and got information about how churches are involved in work with Asylum Seekers and Newly Settled Persons, what is their role and challenges they face. Participants also discussed Church of Sweden’s approach to Theology of Migration. Each session was finished by passionate discussion and participants asked many questions. This activity helped participants understand the struggle churches are currently having and learn about their way of dealing with this problem. Good Neighbour project also showed how important are connections between churches, mosques and other organisations which form joined projects. 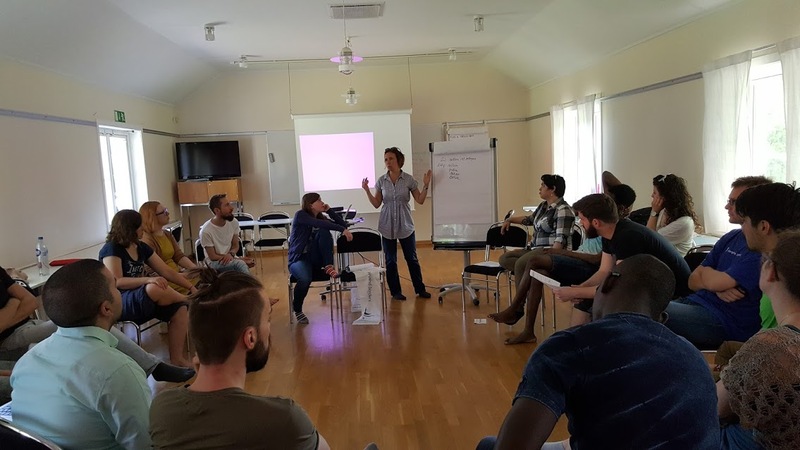 Towards the end of the week participants had an opportunity to experience a simulated Assembly of Churches where they represented different Christian denominations and had to present the church’s approach to migration. In order to create an outcome of this simulated assembly, participants were asked to create agrees statement on migration and create text for Theology of Migration which will be published in campaign’s publication at the end of this year. During the week, participants had many opportunities to look at the migration from different points of view. Non-formal education style of sessions led participants to active and fulfilling discussions with many useful outcomes. 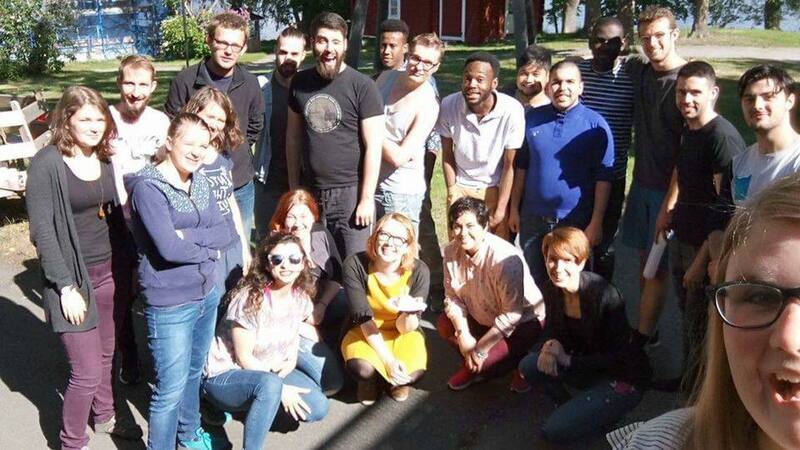 EYCE would like to warmly thank everyone involved in the preparation and realization of this training course, especially Reem Al-Jebzi (Church of Sweden) who helped us with finding the right organizations to visit, Eva Danneholm (EYCE Alumni) who gave us good tips and showed us the Stockholm city centre. We also want to thank our guest speakers Kristina Hellqvist and Alfredo Abad and Carolina Nilsson and Kristina Höghdahl who introduced us to work on migration in Church of Sweden. Without all the help it would not be possible to create such an interesting programme for participants. Thank you!